fra € 494,96 inkl. moms. 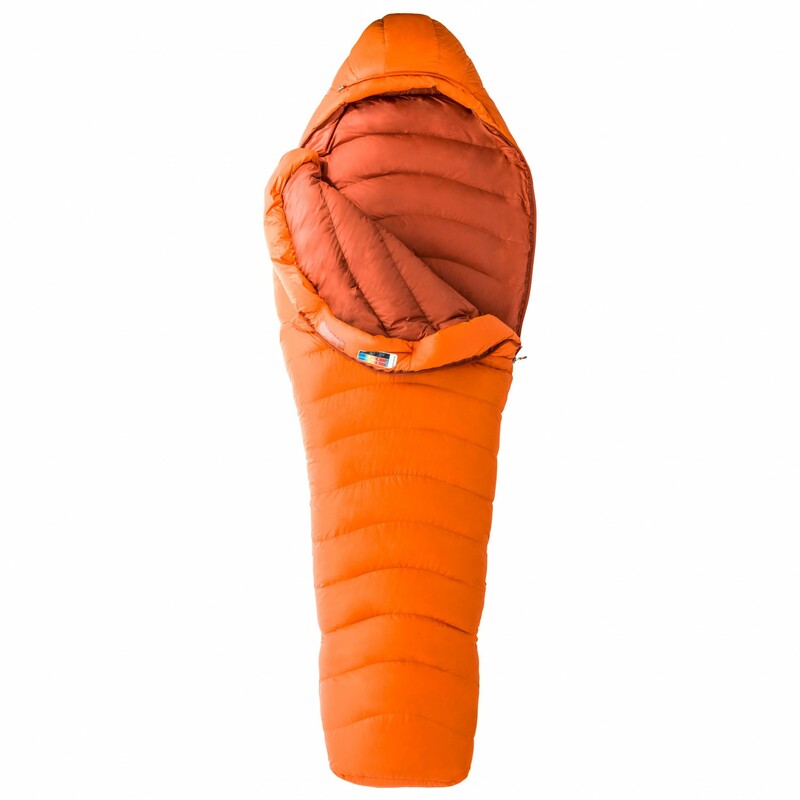 The Lithium down sleeping bag from Marmot is the warmest of its kind. 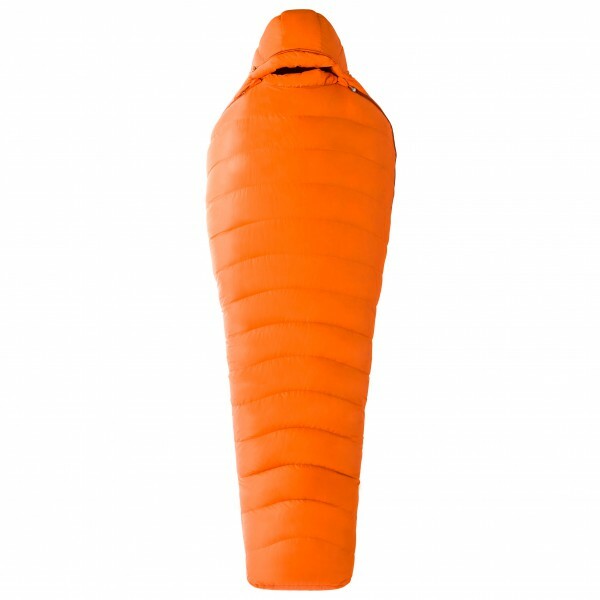 Weighing in at 1200 grams, this sleeping bag is clearly designed for anything from winter excursions to challenging mountaineering adventures at high altitudes. It is filled with compressible, high-quality goose down that comes complete with Down Defender for water repellence. It also has a second zip for easy entry as well as an additional vent, just in case it doesn't get as cold as you thought it would. The wrap-around construction at the foot of the bag allows for freedom of movement, whilst the insulated draught collar with a drawstring seals in warmth. All seams have been strategically placed to prevent cold spots as well. Plus, the Lithium sleeping bag has loads of practical features that make it almost indispensable. When the temperatures drop far below zero and you need to save weight, the Lithium is the way to go.